Subscribe to A Pod Unlike Any Other wherever you listen to podcasts. The Masters is almost upon us, but we’ve been watching the tournament for more than a month now. Well, more like rewatching. 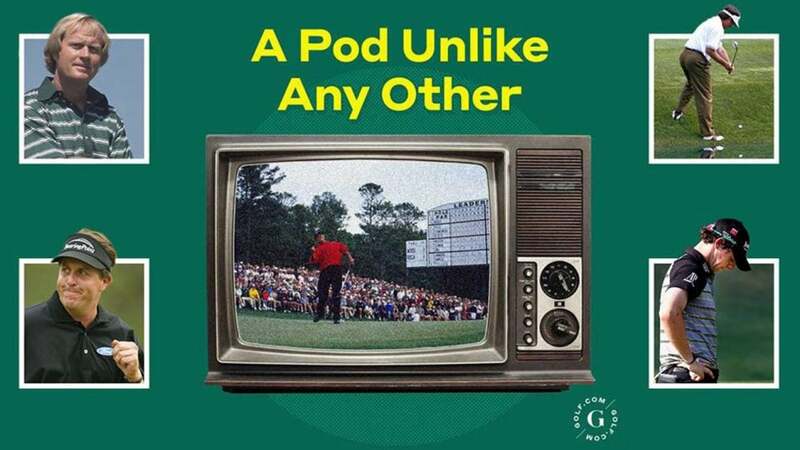 Thanks to the trove of final-round Masters broadcasts available on YouTube, the editors and writers at GOLF.com have been poring over — and breaking down — the telecasts of some of the most memorable Sundays in Masters history. The result is our new podcast series, A Pod Unlike Any Other. Think Rory’s current form is fun to watch? Nothing was more riveting than rewatching his implosion at the 2011 Masters. Enjoyed Phil Mickelson’s triumph at Pebble Beach in February? You can only truly appreciate his brilliance at 48 by understanding his breakthrough at Augusta in 2004. We begin our Augusta deep dive with Jack Nicklaus winning his fifth green jacket in 1975, and we finish with McIlroy’s mess in 2011. Come join us as we reflect on the course, the commentators, the styles, the patrons, the golf — and everything in between. Why, you ask? We wanted to further understand golf history. In the process we delighted in all kinds of forgotten history. You remember Verne Lundquist’s “Yes, sir!” call on that magical Sunday in 1986, but did you know that there were actually two other “Yes, sir” calls on that same telecast? You remember Larry Mize breaking Greg Norman’s heart in 1987, but do you recall this cringey line uttered by a young Jim Nantz: “There’s Larry, sur-MIZE-ing a 20-foot putt…”? You remember Tiger Woods’s historic win in 1997, but do you recall his rules dilemma on the 15th hole, and how hastily he handled it? You remember the woman in the hot pink hat — what’s that, you don’t? Rewatch the thrilling final round from ’75, and you can’t miss her. She and her spectacular headwear had a front-row seat to Masters history as Nicklaus, Johnny Miller and Tom Weiskopf came storming through the 15th hole. We’re kicking things off with the ’75 and ’86 Masters. Yes, sir! There’s plenty more Masters lore — and, yes, even some laughs — that time has forgotten. Plug in and revisit it with A Pod Unlike Any Other.